The 106th issue of Bamboo Ridge, Journal of Hawaiʻi Literature and Arts, features works of poetry and prose from over forty emerging and established writers. Several of these authors and others will be donating handmade items such as paintings, jewelry and other art, to be raffled off individually at the Bamboo Ridge Annual Wine & Words Fundraiser. It’s a fun and interactive way to take home one-of-a-kind artifacts and help us publish more books that support Hawaiʻi writers and readers. This main event will be held at the Manoa Valley Theatre. Pupu reception and raffle will begin an hour before performance and readings. 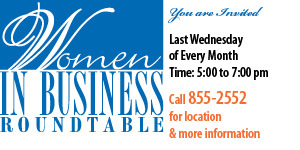 Entrance is a $35.00 donation, $30.00 of which is tax deductible. Raffle tickets will be on sale during the reception. See event details below as well as the dates for additional readings of Issue #106, and attached flyer. 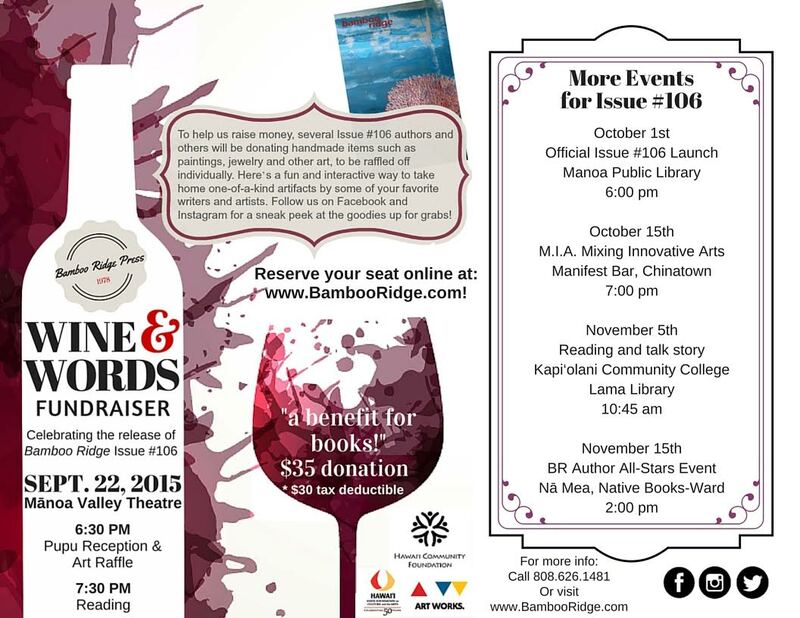 Annual Wine & Words Fundraiser: A benefit for books! e-mail brinfo@bambooridge.com, or visit www.bambooridge.com. 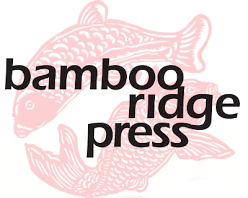 Bamboo Ridge Press was founded in 1978 to publish literature by, for, and about Hawai‘i’s people. It currently publishes two volumes a year: a literary journal of poetry and fiction featuring work by both emerging and established writers, and a book by a single author or an anthology focused on a special theme. Bamboo Ridge Press is a nonprofit, tax-exempt 501(c)3 corporation and is supported through book sales, subscriptions, private donations, and grants. This publication was made possible with support from the National Endowment for the Arts (NEA) and the Hawai‘i State Foundation on Culture and the Arts (SFCA), through appropriations from the Legislature of the State of Hawai‘i (and grants from the NEA). Additional funding from the Robert Emens Black and Susan M. Kosasa Funds of the Hawai‘i Community Foundation.